A collection of locations to intrigue and attract your characters. While primarily aimed at mortals, vampires and werewolves might find them interesting as well. 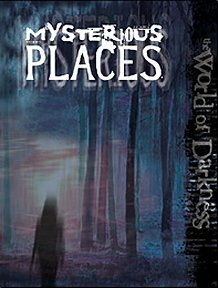 Publisher's blurb: "Down neglected roads or beyond hidden doors lie places in the World of Darkness that are best left unknown. These mysterious locales, tainted sites and corrupt settings all bear the mark of some unmentionable crime or horrific transgression. Ordinary people go ignorant to the existence of these places, all the better to preserve their mortal, fragile minds. The wary, brave or foolish glimpse the truth and can't turn away, and challenge their very fate by setting foot on unhallowed ground."